Holiday Centerpieces at Fresh Tracks Farm! Looking for that unique and gorgeous centerpiece for your holiday table, to place on the mantle, or spruce up your gathering space? 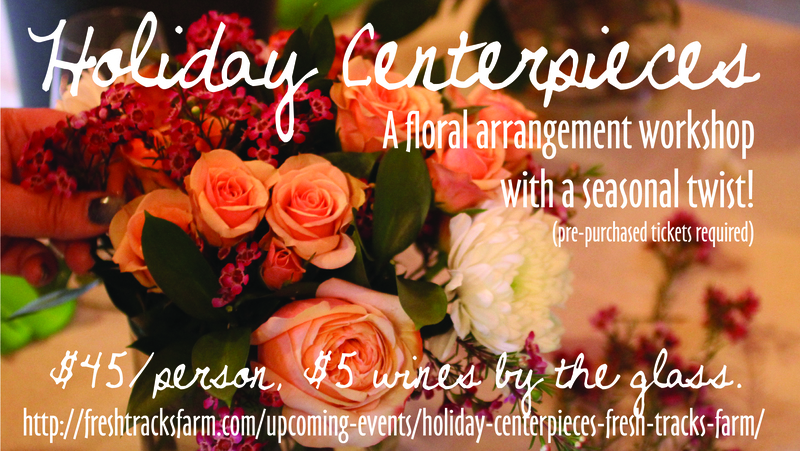 Come down to Fresh Tracks Farm Vineyard & Winery and make your perfect centerpiece yourself! Join us and Lindsey West on December 19th at 5:30pm for this festive and fun workshop, where you will create your own unique arrangement with a seasonal twist! Enjoy 5$ glasses of wine during your workshop for that extra inspiration! Pre-purchased tickets required for entry!